Brand Evolution: Keeping vs. Letting Go — What About Your Brand? …That is actually a critical question, and the answer is “yes” to both. By selectively keeping and not keeping, space is opened up for new ideas, actions and results and your brand can evolve effectively. Below are 5 things, personal and professional, that I chose not to keep. The process involved insight, consideration and a view to the future. What about you? What can you let go of to strengthen your messaging, your core identity, your brand? My Where: I released a preconceived notion of what “home” was and now find myself very much at home in Los Angeles as well as Atlanta. ecial part of my life as well as my kids. 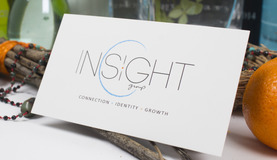 My What: I released my former company name, which then cleared the way for a new one, C Insight Group, and my continued work in brand development and integration. The rebranding process included creating a new logo, thanks to Scott Carranza and launching cinsightgroup.com, my website, with thanks also to Matthew Eisner. Please check it out, like and share it with others. My How: As a result of downsizing a few years ago, I lost a treasured routine, my six ‘zen laps’. These gentle, early morning swims were actually how I would percolate ideas. As it turns out, my place in Santa Monica has allowed me to reinstate my daily encounters with water, but in a new format consisting of balcony views, walks and rollerblading. My When: For a weekend in mid-January, I will be attending Bob Proctor’s conference on ‘thinking into results’ as a follow up to last summer’s mastermind series. I look forward to continuing to apply this tool in my work with clients and in my life. … And One Last When: Another keeper is aTVFest, hosted by SCAD, presenting the latest in design, creativity and innovation in television and media production. In Atlanta from February 4 – 7. Maybe I’ll see you there?! ?